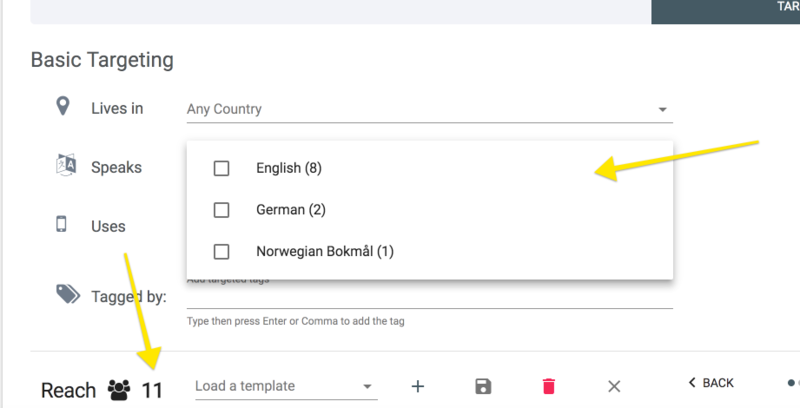 You can now target users based on what they speak, what platform they use and what country they live in. Create a new campaign by clicking on the push arrow. Try different parameters and get an immediate estimation to your reach.